Over the past weekend while I was down in New Orleans, Louisiana, I had the pleasure of spending the day with Steve Speyrer. Steve and I have been corresponding via email over the past few years and it was great to finally meet him in person. Steve is one of the nicest guys I have ever met. He has a wonderful family and was a gracious host of the French Quarters to me and my son. 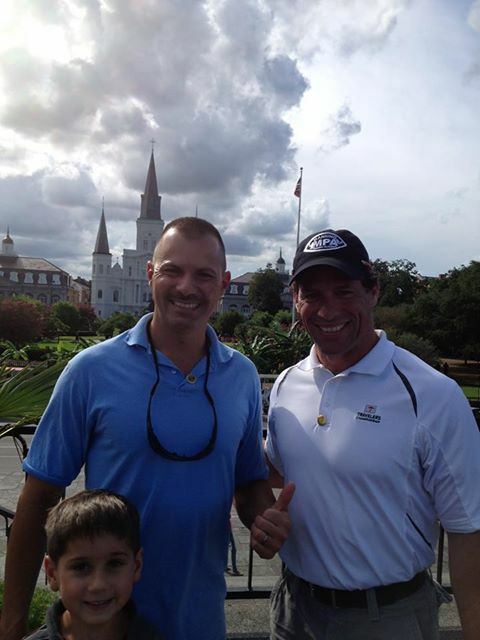 Steve owns Classic Anatomy Gym in Leonville, Louisiana. He is very knowledgeable in the science of natural bodybuilding and has helped hundreds of people achieve their fitness goals. It was an absolute pleasure to finally meet him. Thanks Steve for a great time and someday we will get together in Kennebunk, Maine so I can show you the sights up here in New England.